Come late August, early September, tomatoes become an endangered species. They are still around, but slowly starting to disappear, reminding you that soon enough the prominent real estate they’ve been holding will be relinquished to the apples and pumpkins of autumn. But there is still time! Just a couple more weeks to soak up all the delicious sweet and savory tomatoeness. And what better way to do that than by treating them with the utmost reverence? This is not fancy. Nor is it complex. In fact, it seems likely that a monkey could put this dish together. But that doesn’t make it any less tasty. A great recipe doesn’t always require that you have intensive skill in the kitchen, but should be something you may not have conceived of on your own. The funny thing about how much I adore making this is that I used to be afraid of mayonnaise. I loved it, I recognized its value and importance in my diet, but alas. It irked me. I couldn’t bring myself to use it. Then someone made me tomato toast–and I was forever changed. I had to be able to make it for myself, because I was craving it constantly. It tasted like summer. So I faced my fears of mayonnaise. And I’ve never looked back. The moral of this slightly rambling story is that if you too love those late summer tomatoes (and herbs, the herbs in the mayo are important) and just want to savor them as long as possible, this is the dish for you. 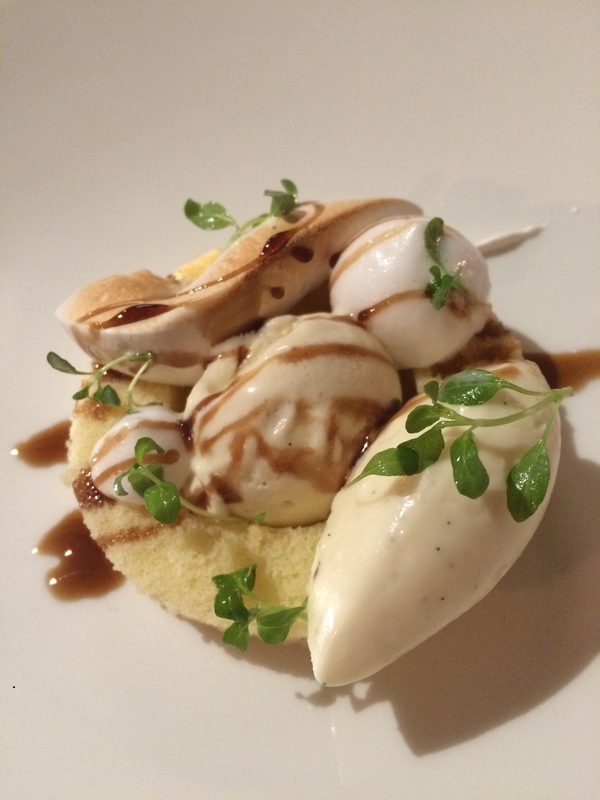 Ridiculously easy and silly delicious, it is just the way to send these summer delights off in style. Until next summer when they once again grace us with their abundance. Combine your herbs and mayo until well combined. Smear the mayo, on the toasts. Arrange the tomato slices atop the toasts. Cover with salt, pepper, and extra chives. Eat immediately. Savor summer. Turns out summer is leaving, and I haven’t cooked all that much. I was too busy eating everything. After 2ish months of countless lobster rolls, ice cream cones, and hot dogs (a strange but totally welcome part of the Summer 2015 diet), I was ready to close out the season with a bang. And this was certainly that. 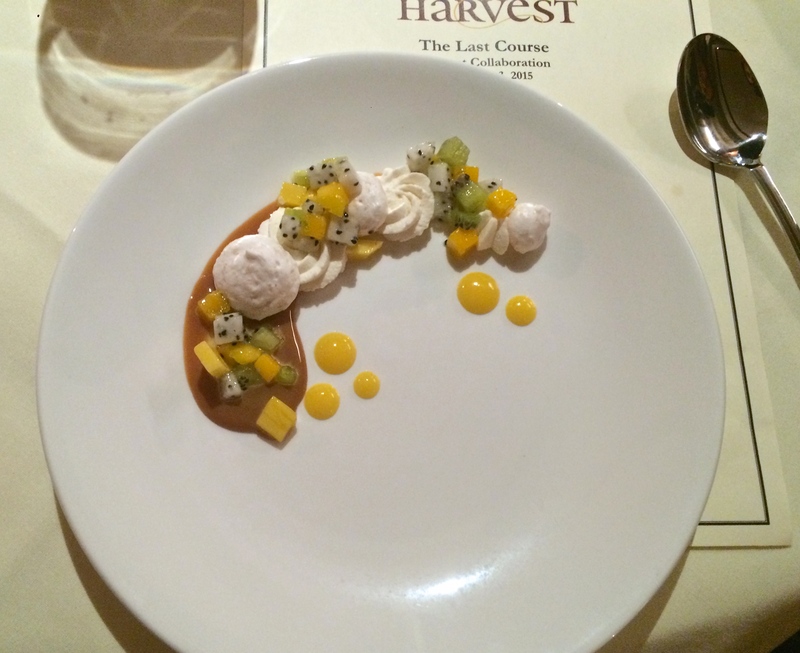 Brian Mercury, the silly talented pastry chef at Harvest in Cambridge of bacon bun fame, teamed up with Tracy Obolsky from NYC’s North End Grill for a night of sweet frivolity in the form of a 6 course desserts only tasting menu. And these 2 were not fooling around. 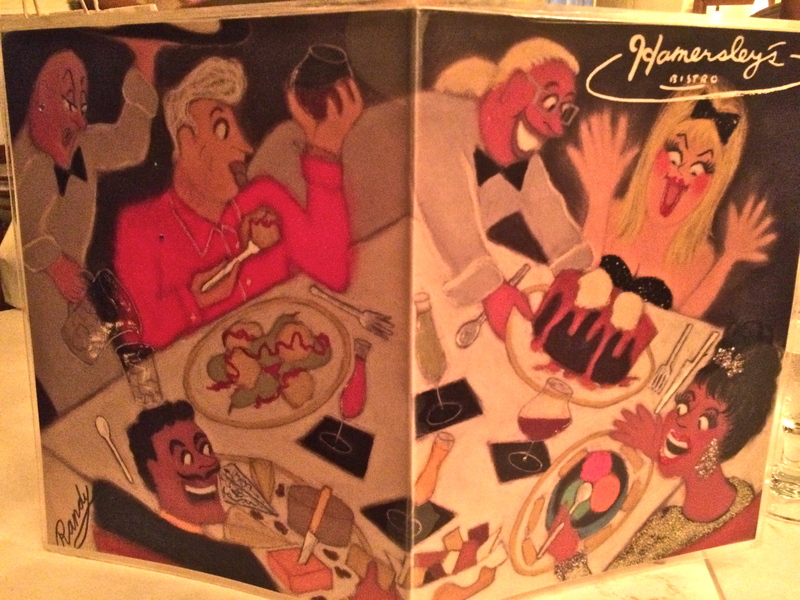 And despite being more of a savory girl myself, I would do eat every bite they gave me again in a heartbeat. 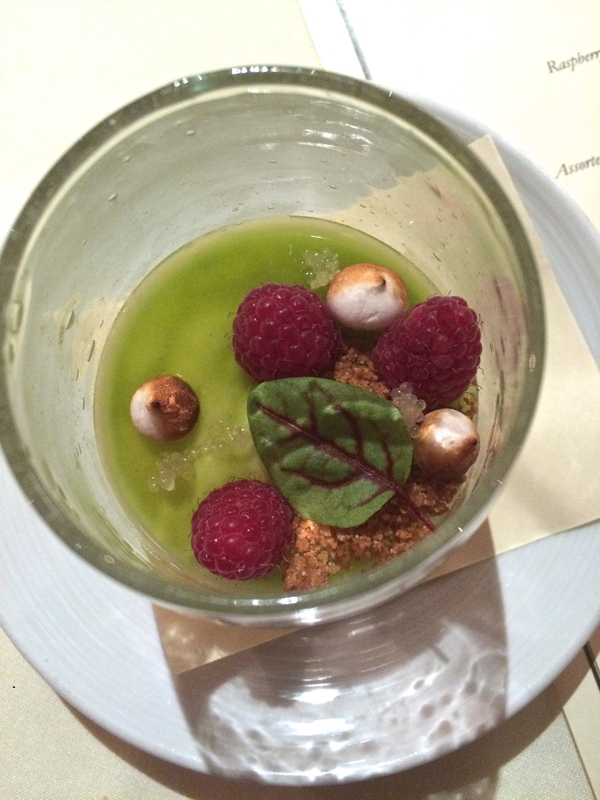 The effortlessly dynamic pair went plate for plate, taking turns at each course. 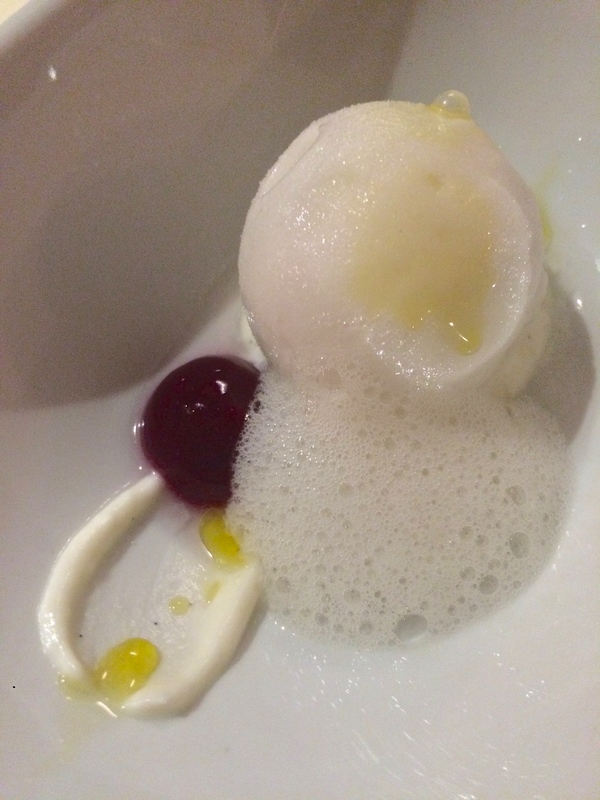 Obolsky kicked things off with an elevated play on key lime pie (dotted with tiny toasty meringues), that led into Mercury’s fried dough rounds with hibiscus lemon curd (that was a lovely shade of pink). 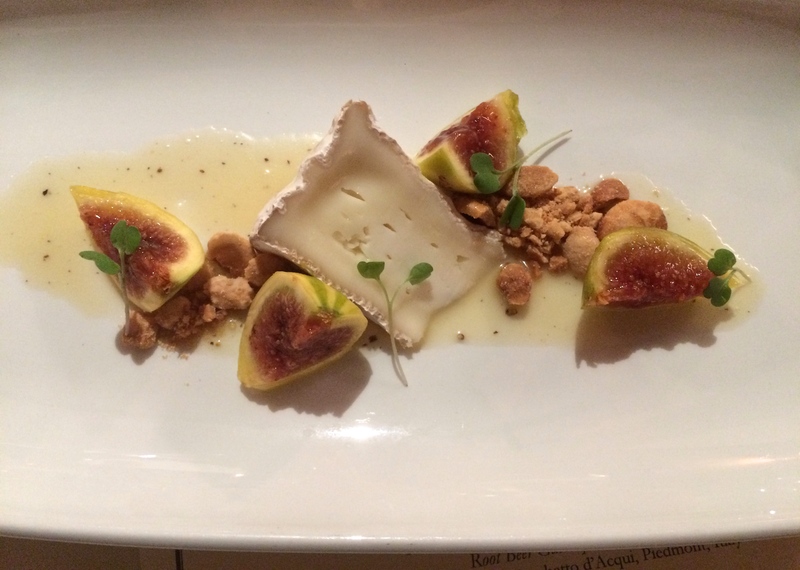 There was then a cheese course with unadorned but beautiful tiger stripe figs, and an unexpectedly refreshing mint vinegar sorbet as an intermezzo. 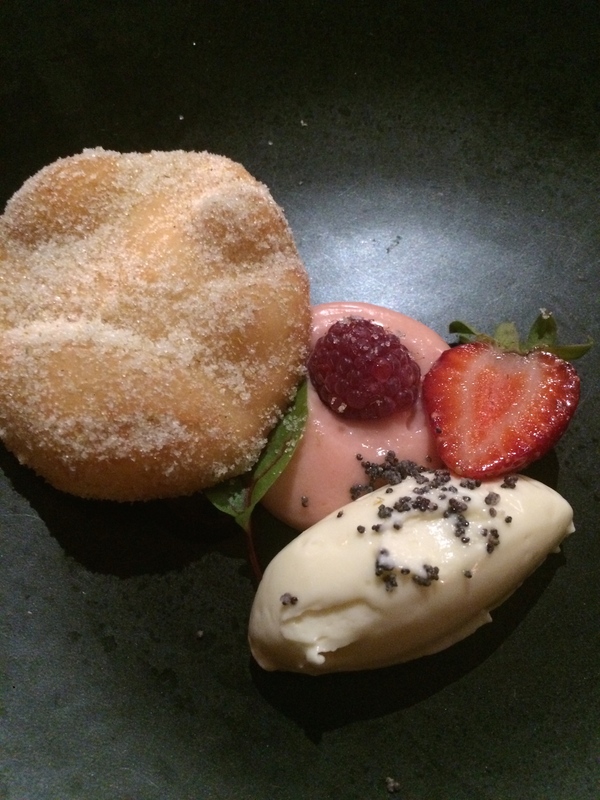 Already deep into a sugar coma, the final dishes gave no respite. 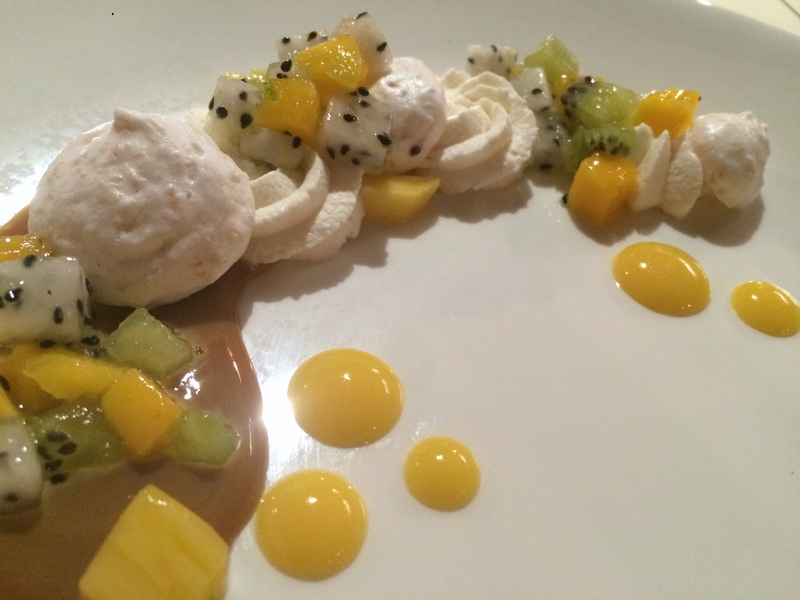 Obolsky’s coconut pavlova with dulce de leche and cubes of tropical fruits and Mercury’s “grown-up” root beer float were both elegant feats not only of flavor but of plating. It was almost too pretty to eat. Except that it wasn’t, because I cleaned my plate at every course. Good meals are always worth sharing. This one was worth showing off so that you might find your way into either of these chef’s restaurants to eat anything they are making. I would happily take on another sugar rush at either of their hands. Snacks are a part of life. They get a lot of press around the holidays, the Super Bowl, and Oscars viewing parties, but in reality the time for snacks, is always. Behold two variations on one concept: sticks. zucchini and mozzarella. One baked, one fried, and both tasty. Everyone loves finger foods. The mozzarella recipe is a riff on Giada De Laurentiis’, and the zucchini evolved out of a google search that lead to the YummyHealthyEasy blog‘s recipe. 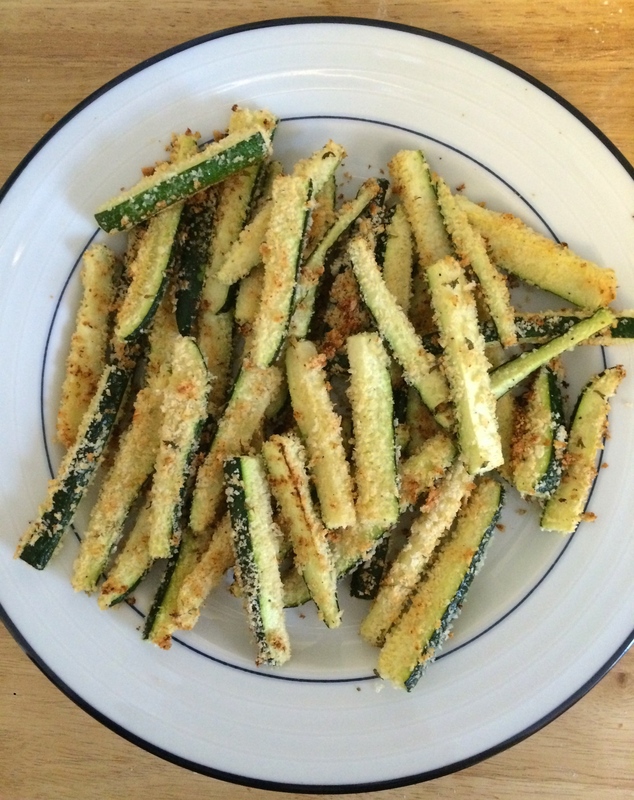 They were both a huge hit dipped in marinara sauce, but I wouldn’t hesitate to try the zucchini in a ranch dip either. 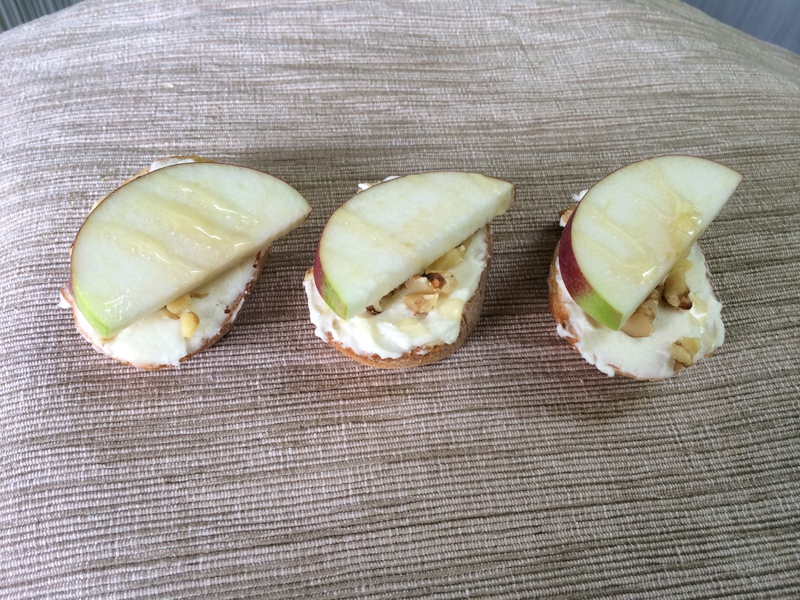 There is something to be said for making your own snacks. It’s so satisfying to snack on something that has no mystery ingredients and was not pre-packaged in plastic. 1. 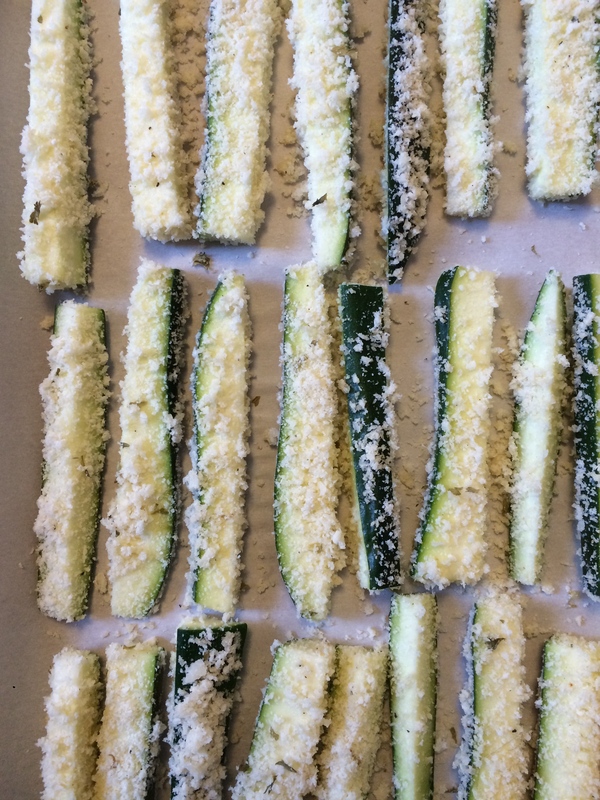 Cut the zucchini and mozzarella in thin sticks (1/4 inch thickish). 2. In one bowl, beat the eggs and add a dash of salt and pepper. In another, have the milk. 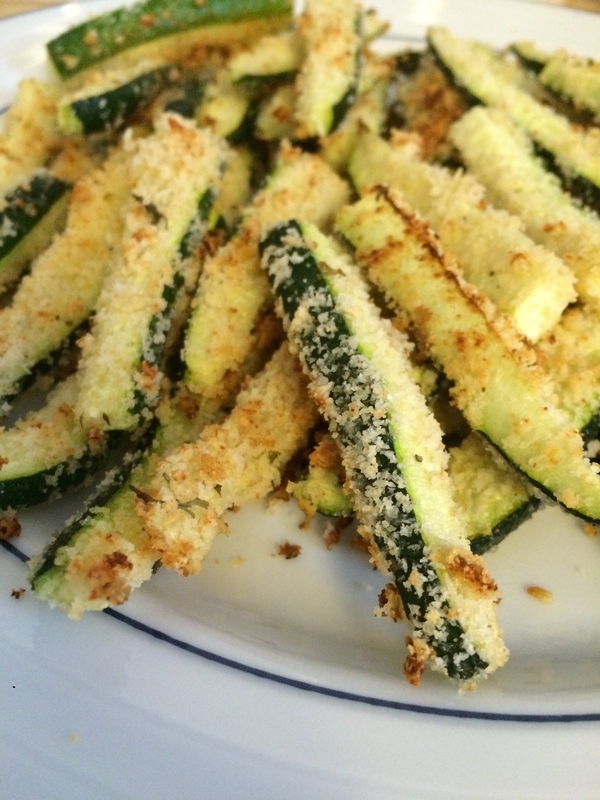 Mix together the breadcrumbs and parmesan cheese, and then divide evenly between two separate plates. 5. Set the oven at 375 degrees. Spray the tops of the zucchini with cooking spray to help them brown, and cook for 25 minutes. If they brown too quickly, cover the top with foil. Serve immediately with either aforementioned dip. 6. In a heavy bottom skillet, heat some vegetable or canola oil over medium high heat. 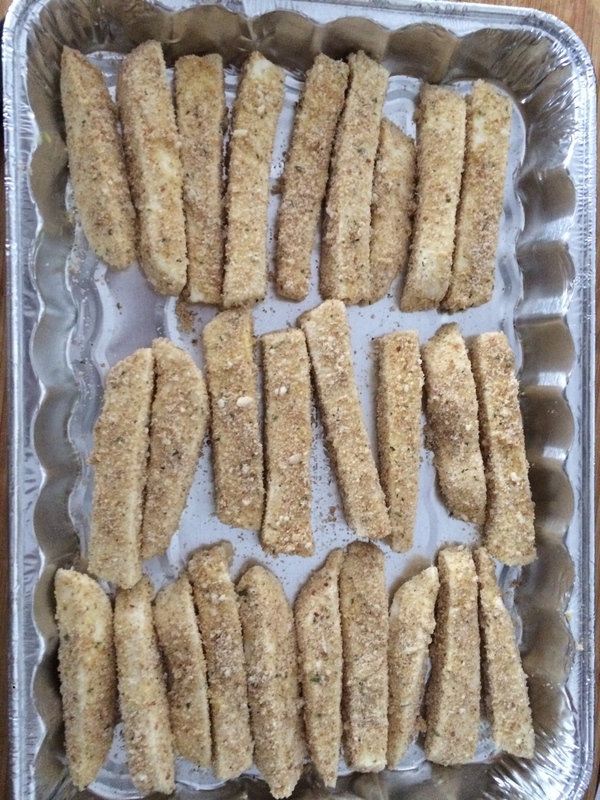 Working in batches, pan fry the frozen mozzarella sticks for about 30 seconds on each side (or until browned), rotating so each side has time in the oil. Serve immediately with marinara sauce. Holiday shopping is one of my favorite things; and my second favorite sort of shopping after grocery. So naturally when an option presents itself that combines my top two shopping passions, dreams come true and I spend too much money on things that are not entirely necessary (but at the same time completely necessary). 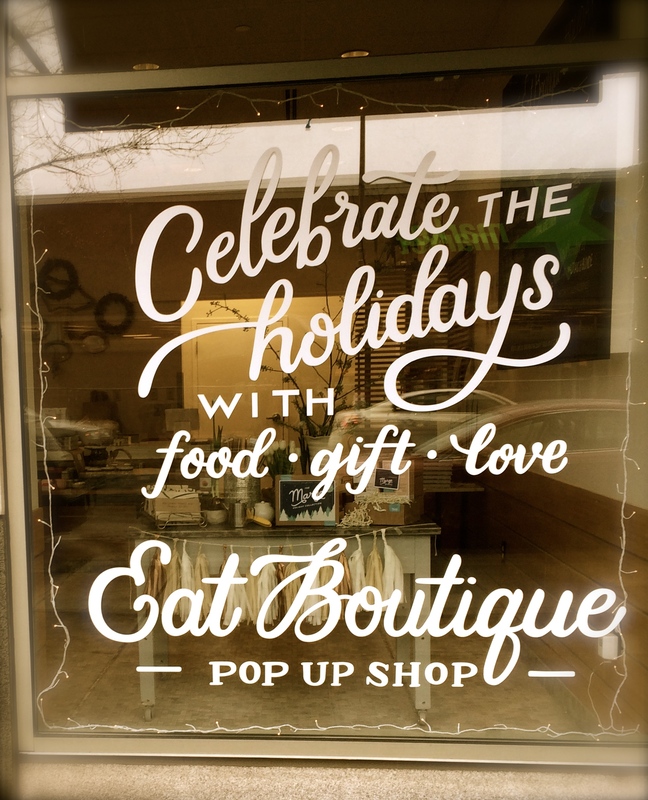 The ever elegant Eat Boutique’s holiday pop-up shop has a full blown residence this year in the Fenway, directly next to Sweet Cheeks (our Boston BBQ situation with epic brisket and biscuits). 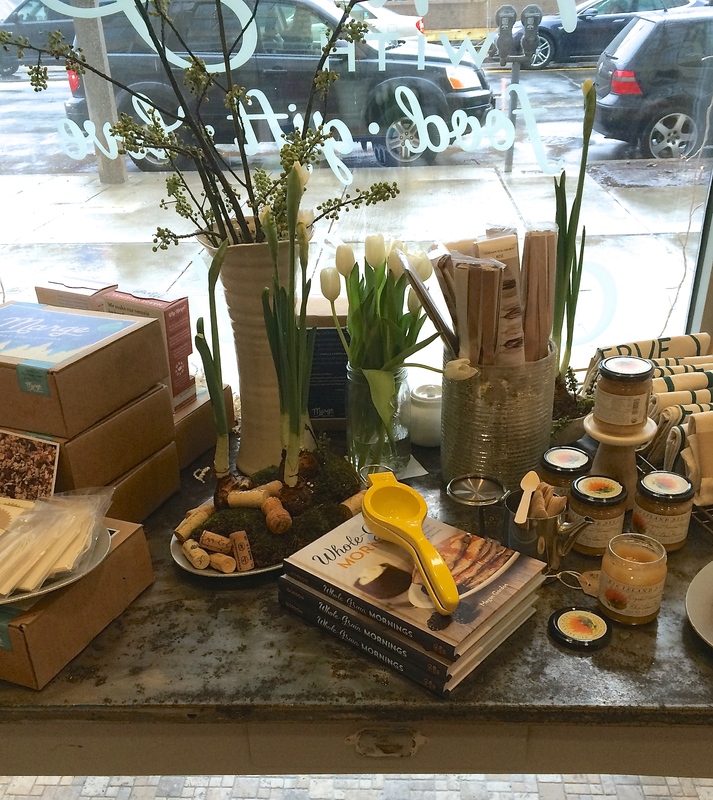 Open Thursday, Friday, Saturday and Sunday for three weeks, the online store has been brought to life in a cozy little nook complete with pleasant people, tasty samples, and mini events. Maggie Battista, the local brain behind Eat Boutique, was there giving out smiles and information on everything out for sale. 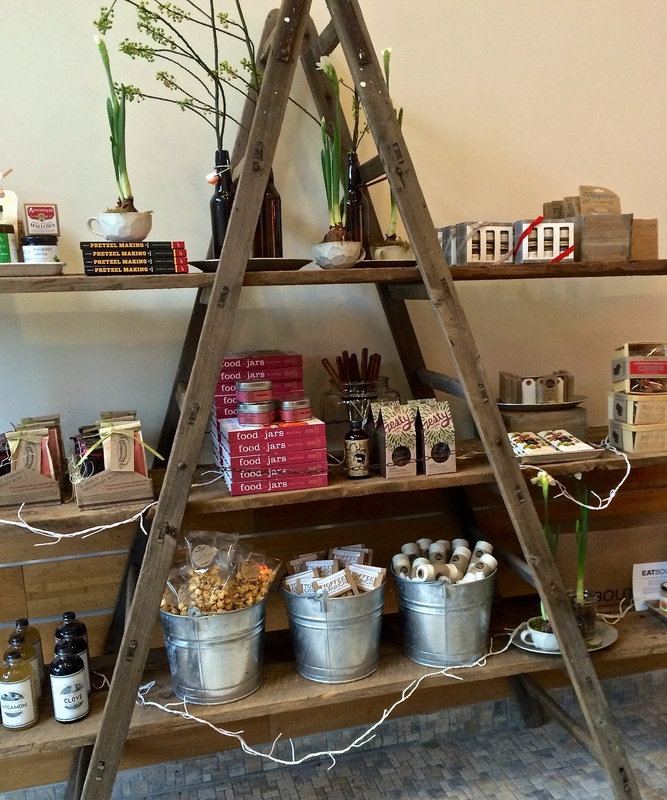 The little shop had a steady flow of traffic and was adorably quaint. It was just so lovely, and I highly recommend paying them a visit this weekend or next. 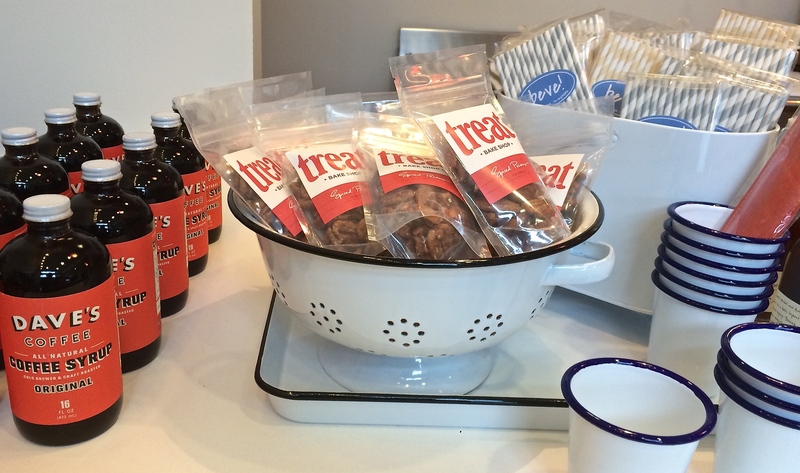 Sample some goodies. Chat with Maggie and some of the makers. Get a present just for yourself that you don’t want to share. Can’t make it to the shop? 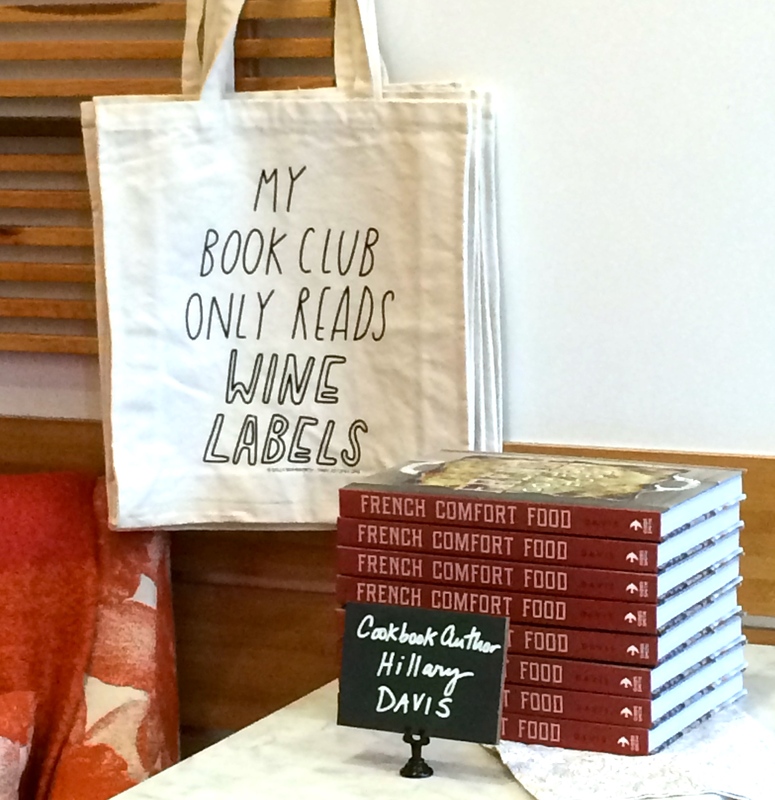 Be not afeard, trendy food shopper. 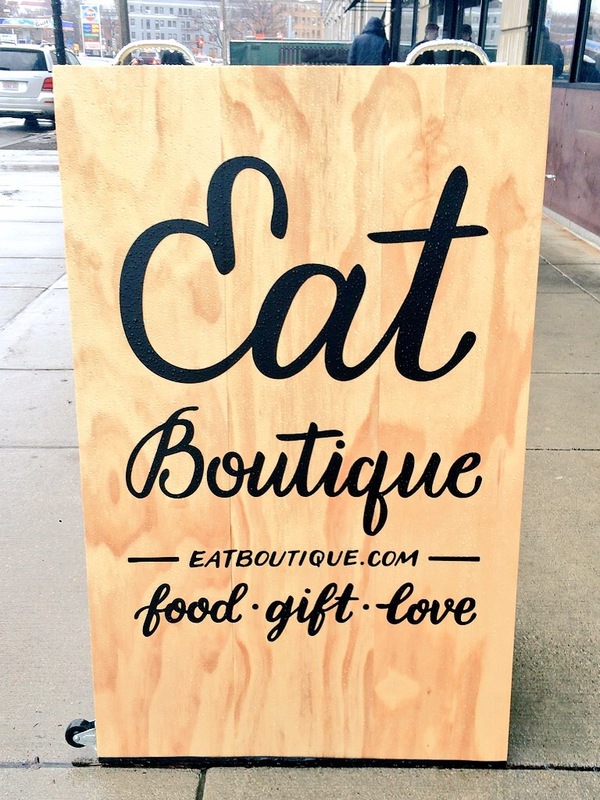 Eat Boutique is primarily an online shop, check it out here. We threw a harVEST party. Vests were required for entry. There was some food, but this was the only dessert treat. Perfectly poppable and subtly sweet, these little guys are great for using up all those apples you picked but didn’t manage to eat. Because it’s a law of nature that no one can possibly eat all the apples they pick. 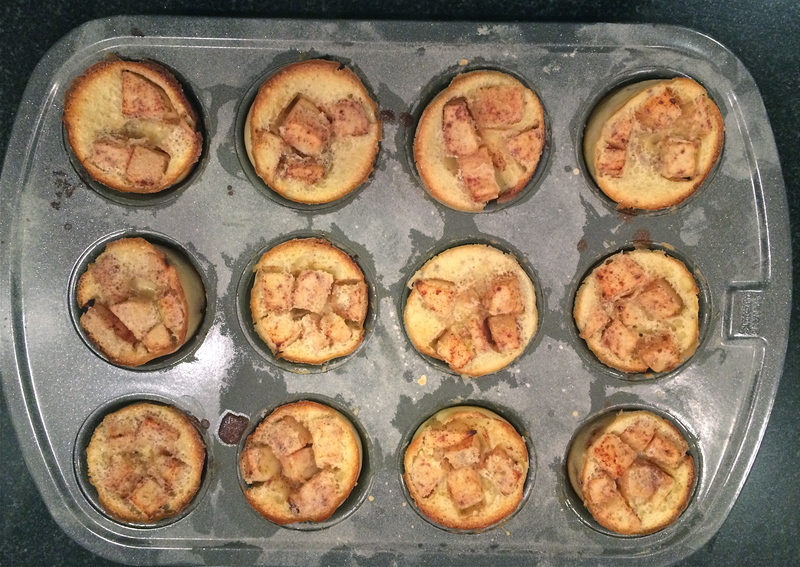 These are a play on a dutch pancake, which texturally and tastily is an intersection between a crepe, a pancake, a soufflé, and clafouti; and the apple and pumpkin pie spice give them that autumnal edge. 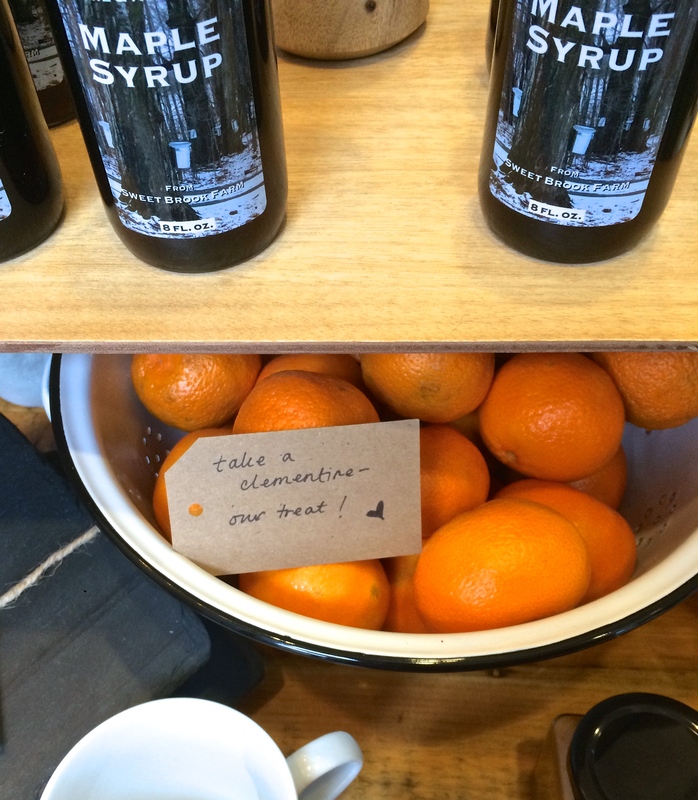 Ideally these should be enjoyed with a cup of tea or other warm beverage. They can be breakfast, dessert, or just a snack. As we are careening at a terrifying speed towards New England winter, these might help you hold on to fall just a little bit longer. 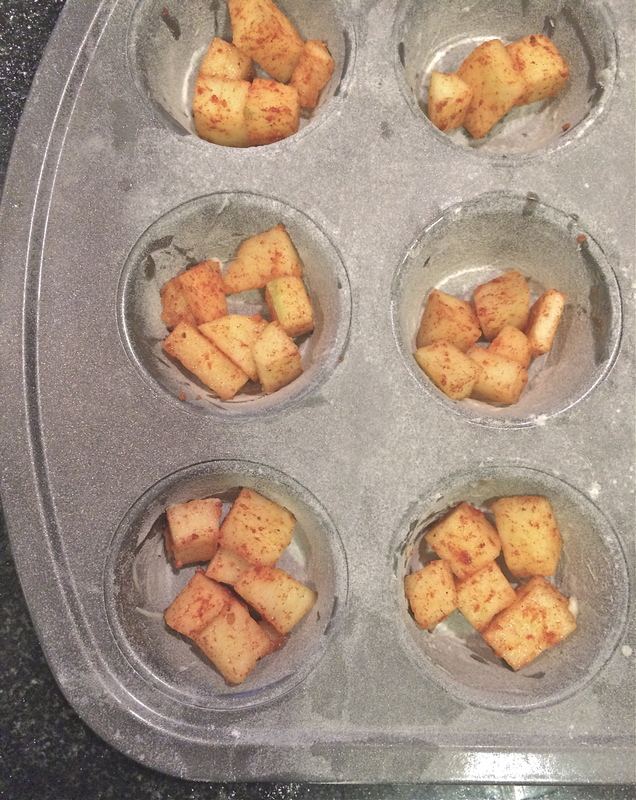 This recipe makes about 24 mini dutch babes if you use mini muffin tins (which you should, because that makes them adorable). set oven at 350 degrees. 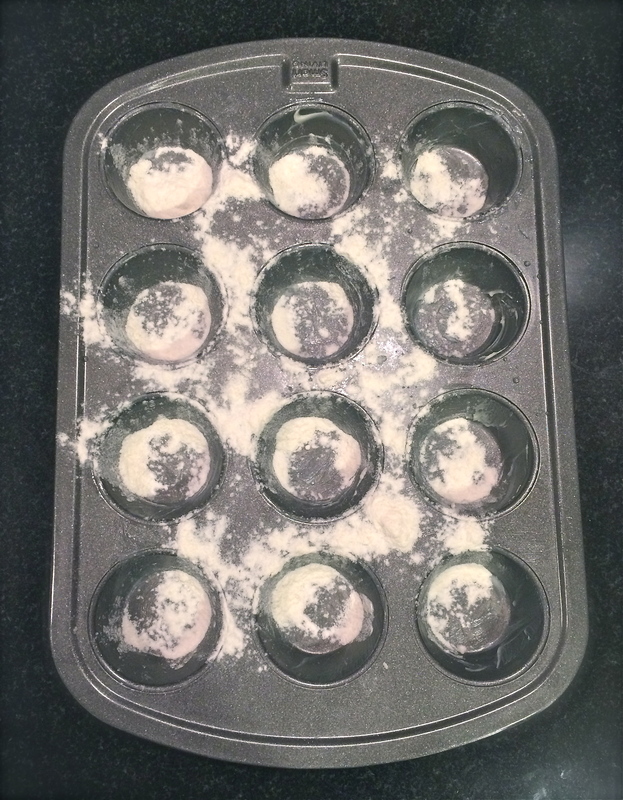 Butter and flour 2 mini muffin tins. peel and dice the apple into small cubes. Immediately coat with lemon juice to avoid browning. 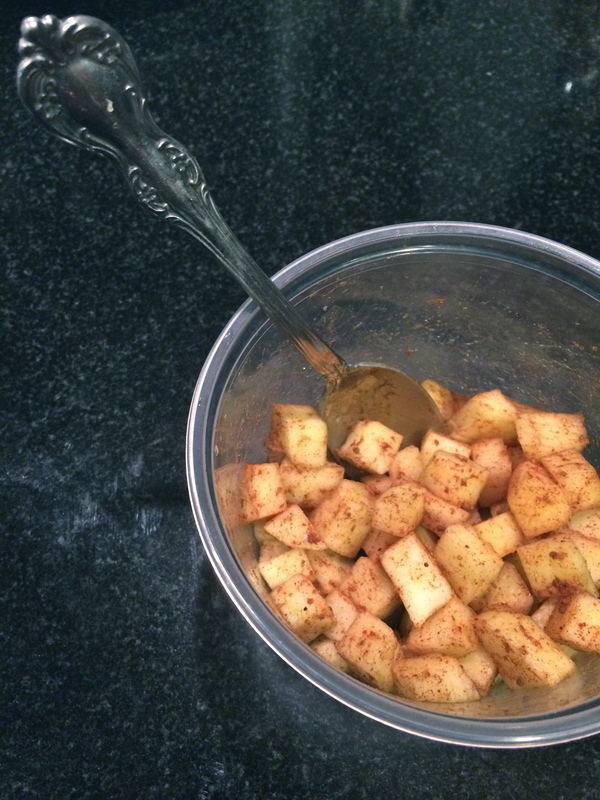 Toss with pumpkin pie spice and add a pinch of salt, make sure apples are well covered. 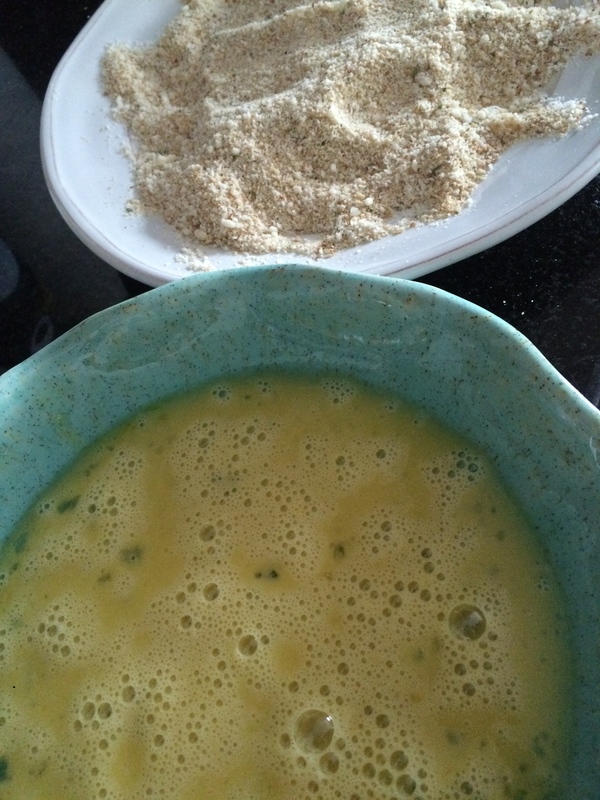 whisk eggs until frothy. Add in flour, then sugar, vanilla, and milk. Throw in an extra pinch of cinnamon if you’re feeling dangerous. 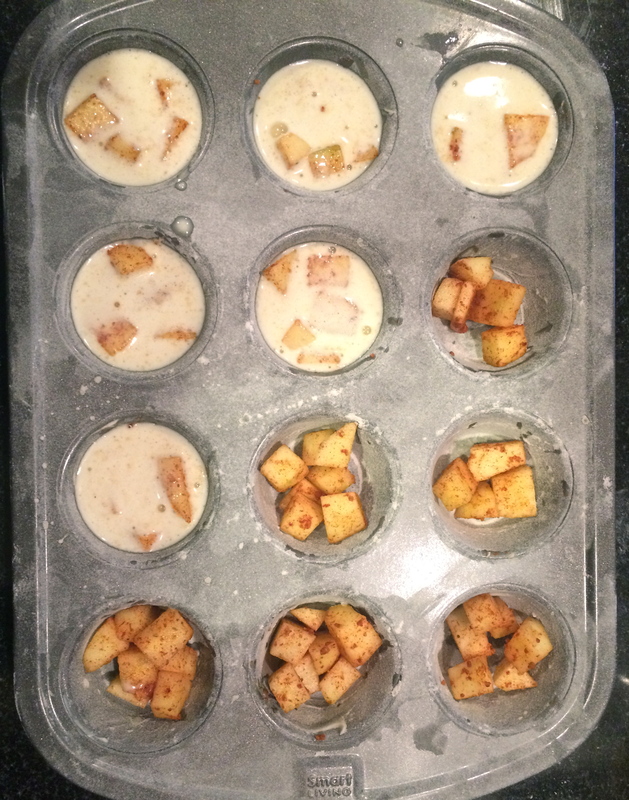 give each muffin space 5 or 6 apple cubes, and cover each with batter so they are ¾ full. Bake for 40 minutes. 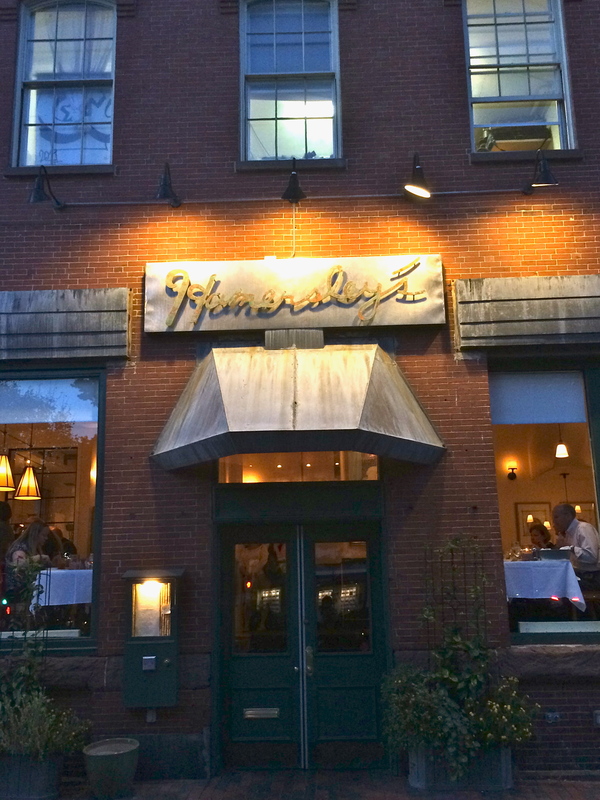 We’ve never met, but when I heard you were retiring I immediately booked a table at Hamersley’s Bistro to try your long revered food while I still had the chance. And I can honestly say it was pretty game changing. 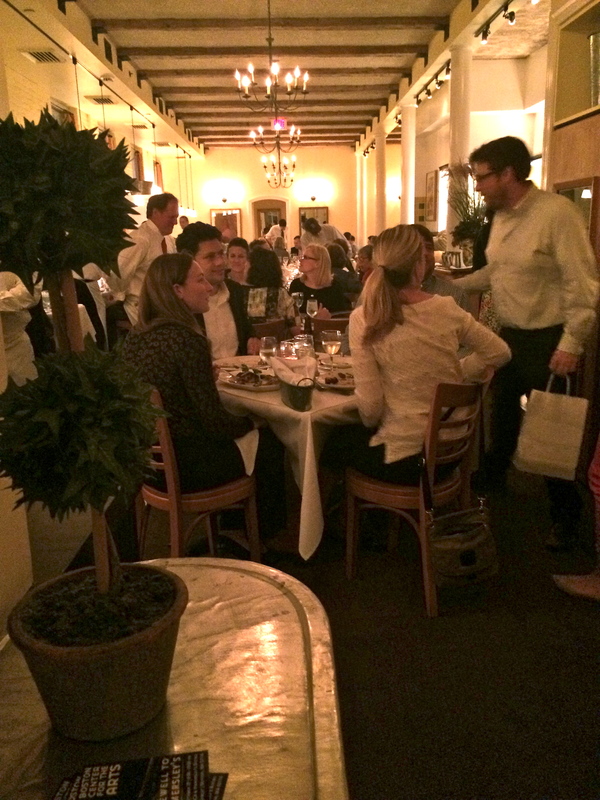 As you were greeted by friends and admirers throughout the dining room, and I ate everything the kitchen gave me without coming up for air, it became perfectly clear to me why your restaurant has been an institution in this city for the last 27 years. Thanks for that one meal, I’m only sorry there weren’t hundreds of others. 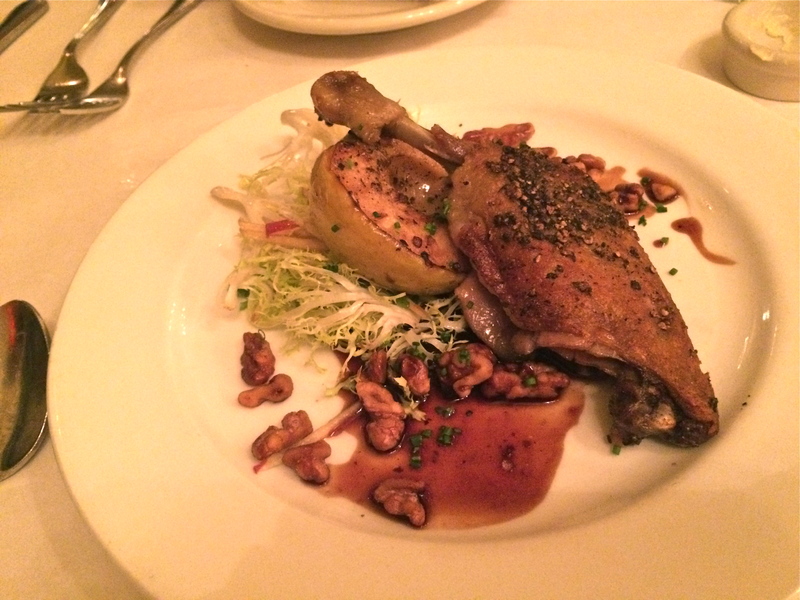 crispy duck confit with roasted apple, frisee, walnuts, and dreams. 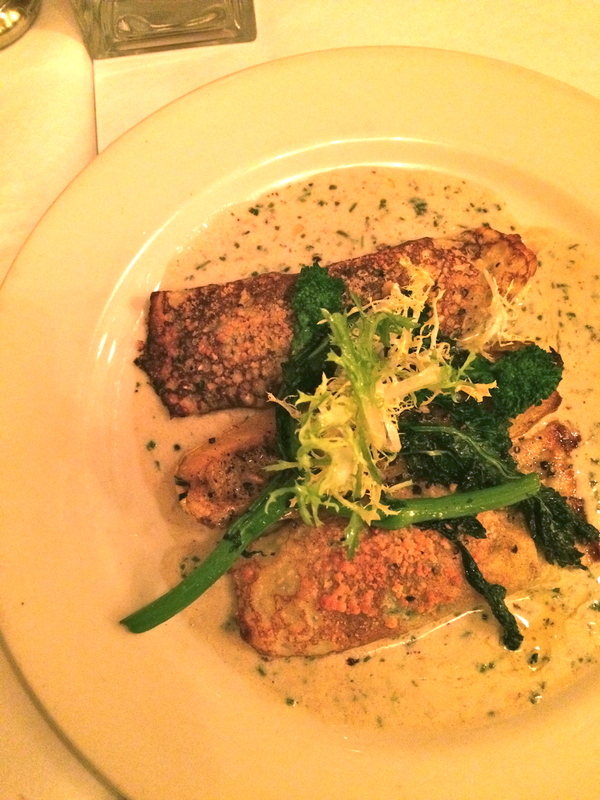 spinach and ricotta crêpes with sugar pumpkin, broccoli rabe and creamy parmesan sauce. perfectly perfect in every way. 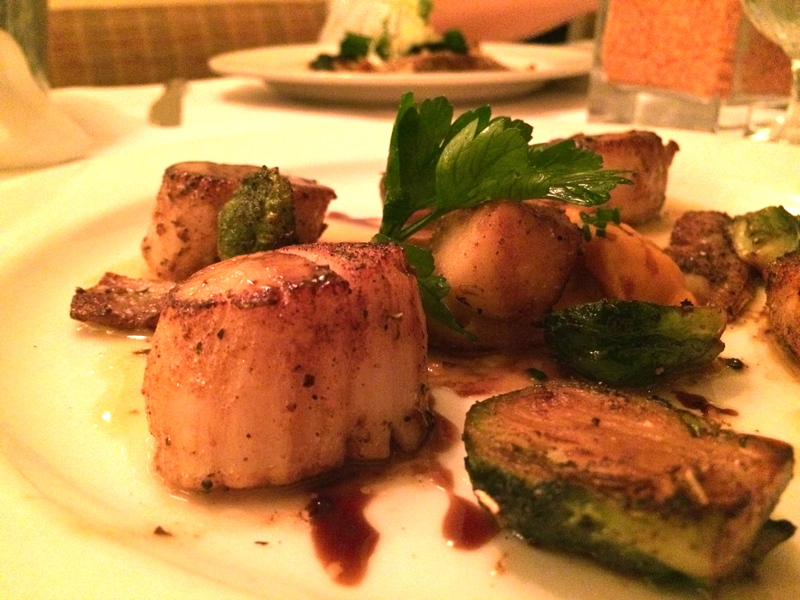 seared sea scallops with sweet potatoes, roasted apple, brussels Sprouts and maple-cured bacon … balsamic glaze. Otherwise known as: all my favorite things. 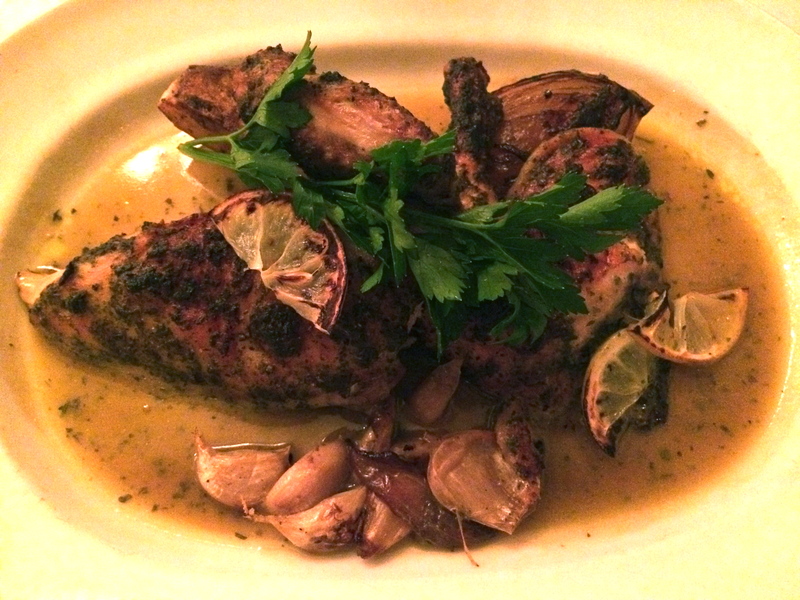 THE roast chicken. with garlic. lemon. and parsley. and chicken will never be the same. warm apple, oat and almond crumble with vanilla ice cream. a perfect fall finish. The Jewish New Year has just come and gone, and somehow things feel the same. Crazy that the switch from September 24 to September 25 didn’t bring fireworks and glittery outfits. But alas, it did come with some semblance to its January 1st counterpart: a (food) hangover and a slice of hope for the next year. 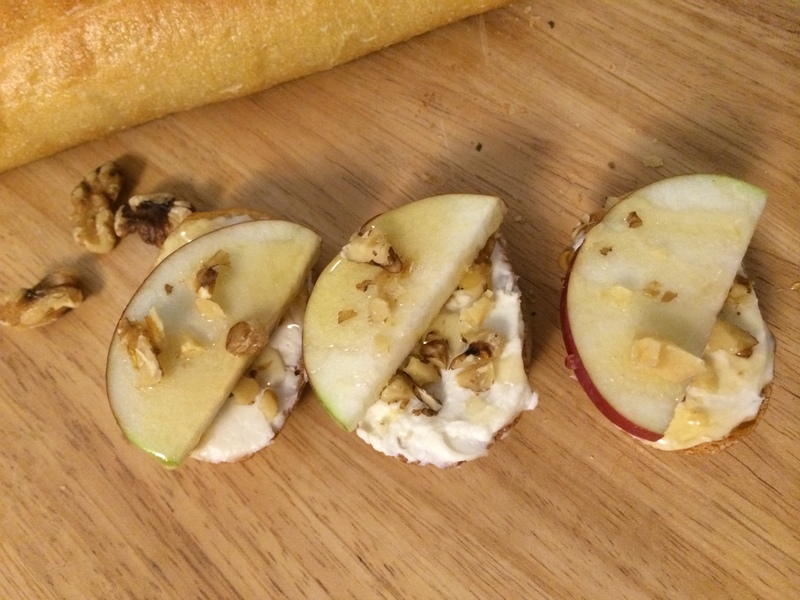 It is customary to eat apples and honey as a symbol of hope for sweetness in the coming year, and so behold my appetizer menu take on this traditional pairing: honey whipped goat cheese crosinti with apples and walnuts. This recipe appeared in the food section of The Boston Globe this week, so you can find it there, or you can read it here, either way it’s worth making. And no, you don’t have to eat it only for the Jewish New Year. Didn’t you just go apple picking? What will you do with all those apples!? Do this. It is very autumnal tasting if I do say so myself. It takes all of 10 minutes to put together…and as the fairy-god-mother of my dreams Ina Garten says, “how easy is that?”. Honey is nature’s sticky golden sweetener, and one of the most versatile ingredients in a cook’s arsenal. It easily acquaints itself with either sweet or savory preparations; and has a flavor that is distinct yet plays well with others. 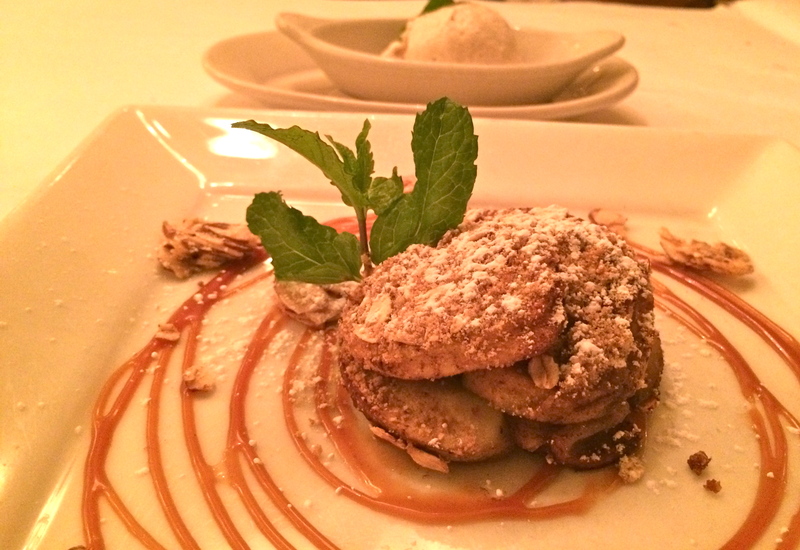 The Rosh Hashanah pairing of apples & honey is this dish’s inspiration. The crostini can be served on their own as an appetizer with a glass of sparkling wine, or as the temperature drops, alongside a warming squash soup. Cut baguette in ½ inch thick slices. Set oven at 350 degrees and toast slices 8 to 10 minutes or until just browned. In a food processor combine honey, goat cheese, and salt. 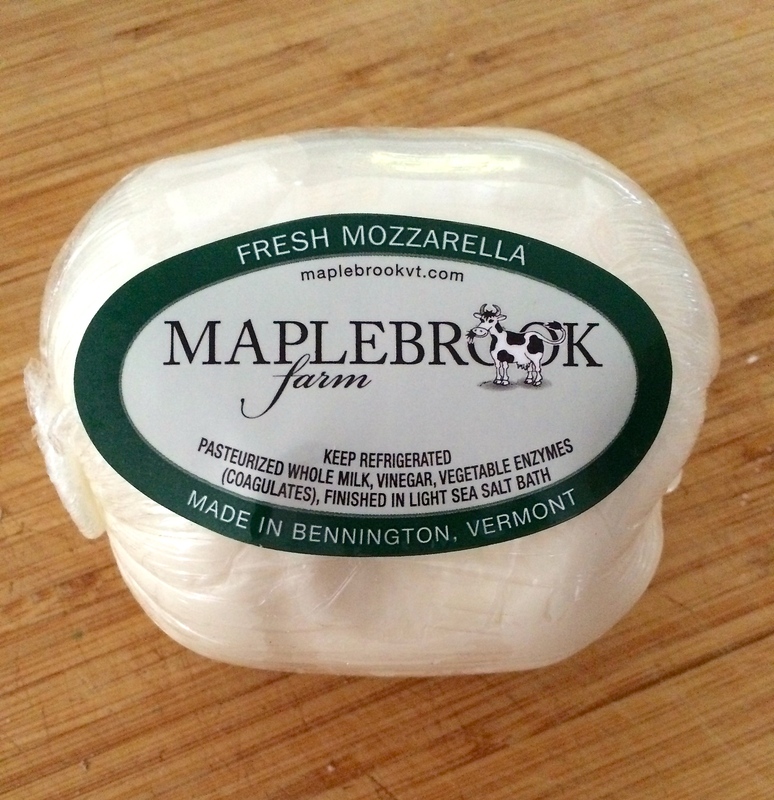 Pulse until honey is fully incorporated into the cheese and the mixture is smooth. Over medium heat, toast walnuts 5 minutes or until just fragrant. Remove from heat, let cool, then coarsely chop. Spread cheese on toasts and sprinkle with chopped walnuts. Slice apples thin and place 1 slice on each toast. Drizzle with honey and serve immediately.